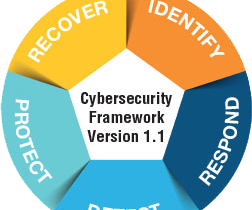 Cybersecurity is the ability to prevent, defend against and recover from disruptions caused by cyberattacks from adversaries. Cyberattacks have been classified as passive attacks and active attacks. Passive attacks are difficult to detect and are mainly used on confidential data. The passive attacks have been classified as eavesdropping and traffic analysis. Active attacks are classified as masquerade, replay, message modification and denial of service. The hackers use malware to penetrate into a system and breach the critical data, like customers’ payment and personal details. Cyber breaches are increasing every year affecting the confidentiality, integrity and availability of the data. Material handling and supply chain systems are becoming markedly vulnerable to cyberattacks. Over time, material handling devices are connected with corporate network, so they can integrate and share information across the enterprise. This helps the companies to monitor and manage operations remotely, but it also increases the chances of cyberattacks. When the system is broadly networked, it can be accessed by a malware. Many companies manage external vendors where information sharing and accessing is involved. This can generate vulnerabilities especially if the processes are automated. Firms should take up measures like mapping the data flow in supply chain, planning a comprehensive risk assessment, aligning with emerging standards and setting clear expectations in all supply chain contracts.